We specialize in vintage, modern, and signed estate jewelry, high grade diamonds, and watches. We also purchase jewelry, diamonds, watches, and silver. 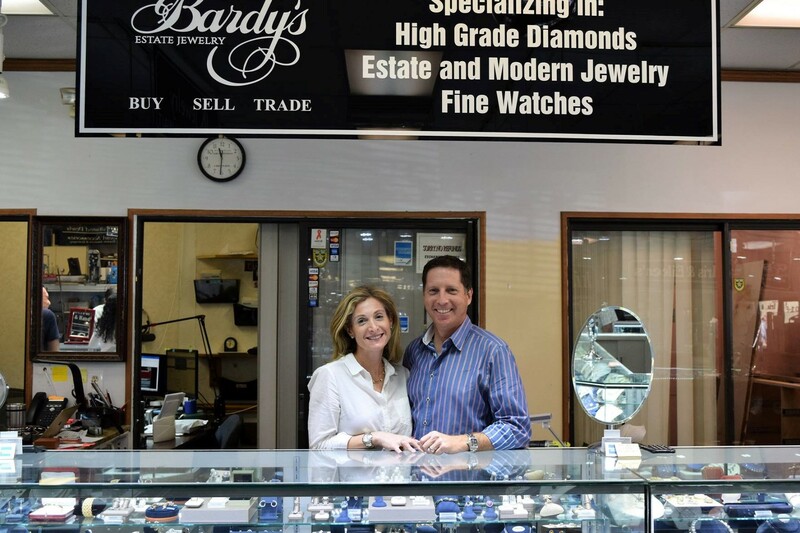 Bardy’s Estate Jewelry, family owned and operated, has been in the jewelry business for over 45 years. We specialize in vintage, modern, and signed estate jewelry, high grade diamonds, and watches. We also purchase jewelry, diamonds, watches, and silver. We have a full time Graduate Gemologist on site for all your appraisal needs. We are also online at www.bardys.com. Come visit us Tuesday-Saturday at the Jewelry Exchange, Door G.